What Can You Expect Videos: Bus Station, Red’s Game, FC Cincinnati, Pride. Check our Evangelize Cincinnati Facebook page. If you affirm our What We Believe page, you are welcome to join our evangelism outreaches. If you are new to evangelism outreach, you are welcome to just “people watch” and pray the first time. If you are familiar with the “Good Person Test” (The Way of the Master) we will help you get engaged. If you are an experienced biblical evangelist, we will trade ideas and encourage each other. Use the Contact Us page and let us know when you are joining us. Evangelism is a spontaneous and constant outflow of our Christian experience. It is not reserved for specific times of the week. 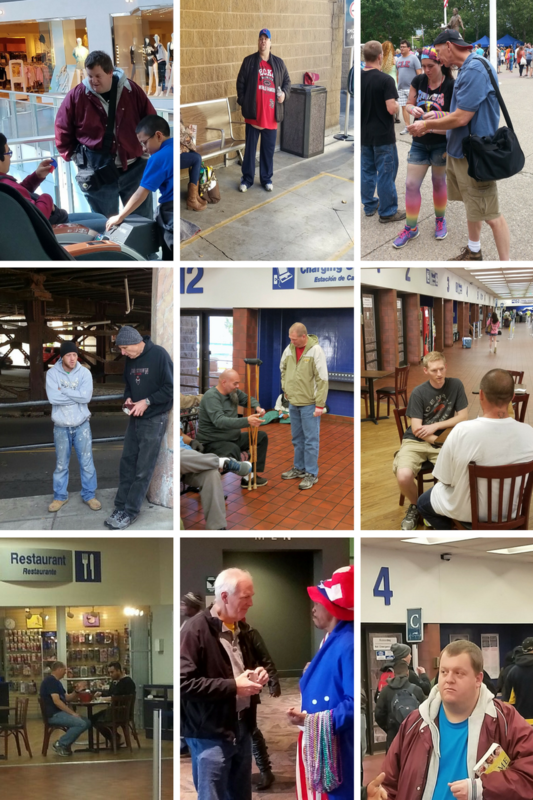 But we gather as a team and intentionally practice the spiritual discipline of biblical evangelism in Cincinnati. May God receive the glory. Evangelists in action photos below.